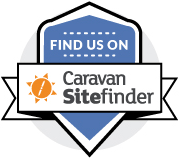 The Willow Holt Caravan and Camping Site welcomes caravans, tents and motor homes big and small, whether you are old hands or just starting off. Whether you are looking for a great caravan holiday, touring holiday or camping holiday in Lincolnshire our friendly staff are on hand to greet you with a warm smile, come rain or shine. Please see our Booking Tariff page for a list of our current prices.